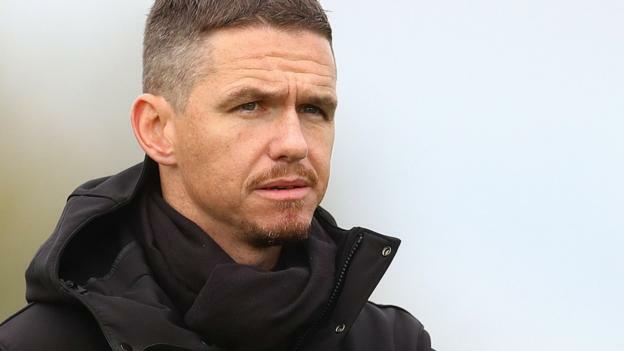 Outgoing Birmingham City Women boss Marc Skinner says he is joining “one of the biggest clubs in the world” after being confirmed as the new head coach of Orlando Pride in the United States. The 35-year-old has signed a two-and-a-half-season deal with the Florida side. He took over at Blues in December 2016 and led them to a Women’s FA Cup final and a fourth-placed finish in 2017. “Marc is both an innovative and progressive manager,” general manager Erik Ustruck told Pride’s website. Skinner’s new squad includes Marta, Brazil’s six-time World Player of the Year, and US co-captain Alex Morgan. He replaces experienced Scot Tom Sermanni, who left Orlando at the end of the 2018 season. Skinner, who first joined Blues in 2006, added: “I want to thank Orlando City for giving me the opportunity to lead the Pride. I believe this is one of the biggest clubs in the world. Orlando Pride play in the largest stadium in the National Women’s Soccer League – the 25,500-capacity Orlando City Stadium – and, although their average attendances cannot match those of Portland Thorns, Pride are still one of the best-supported women’s sides in the world. In what will be their fourth season in the NWSL in 2019, they are craving success, having finished a disappointing seventh last year after a third-placed finish in 2017. Skinner’s move continues a trend of US sides appointing English coaches and will see six of the nine clubs in the world’s biggest women’s league managed by English coaches. Paul Riley is in charge of champions North Carolina Courage, Laura Harvey coaches Utah Royals, Liverpool-born Richie Burke manages Washington Spirit, James Clarkson is boss of Houston Dash and England-born Mark Parsons has been head coach of Portland Thorns since 2015. The 2019 College Draft for the NWSL was held on Thursday. Pre-season training is expected to begin from 4 March, before the first matches of the American season on 13 April.